Good Stuff NW: In Season NW: Join the Parade! I was trying to think of a good metaphor for the farmers' markets opening this week, and the first thing that came to my mind was popcorn. You heat the oil, pour in the kernels and at first there's nothing…then a few seconds later you hear a pop. A second later there are a couple more pops, then suddenly a chorus. Shemanski Park, Wed., May 4, 10 am-2 pm. The mid-week version of the big Kahuna that is the PSU market, it draws a big crowd of downtown office workers for lunch and a chance to restock the pantry before the weekend. In the South Park Blocks at Shemanski Park between SW Salmon and Main. Buckman Market, Thurs., May 5, 3-7 pm. A small, well-curated market, its Thursday afternoon slot has been a big hit with the residents of this inner eastside neighborhood. At SE 20th and Salmon between SE Belmont and Hawthorne in the parking lot of Hinson Baptist Church. 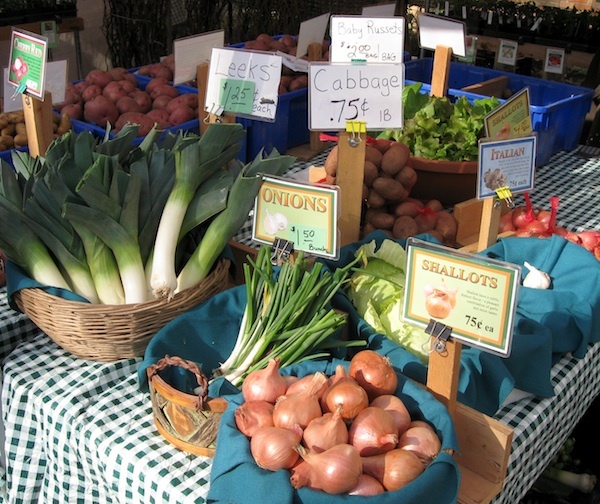 Beaverton Farmers' Market, Sat., May 7, 8 am-1:30 pm. The area's signature farmers' market representing the bounty of Washington County and beyond, it is a destination for tourists and residents alike. On SW Hall Blvd between 3rd and 5th Streets in Beaverton. 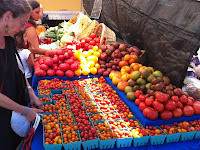 Hollywood Farmers' Market, Sat., May 7, 8 am-1 pm. 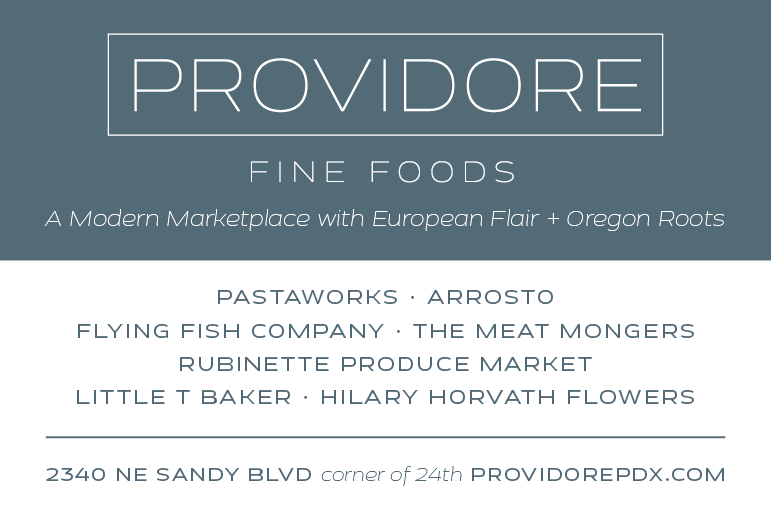 A lively market in one of NE Portland's hot neighborhoods, it draws from people all over the city's east side. On NE Hancock between 44th & 45th Avenues. Oregon City Saturday Farmers' Market, Sat., May 7, 9 am-2 pm. This suburban market has grown from a scattering of tents to a vibrant survey of the bounty of farms south of the city. 2051 Kaen Road, off Beavercreek Road. Moreland Farmers' Market, Wed., May 11, 3:30-7:30 pm. You'll find neighbors gathering to shop and visit at this mid-week market…it's also a perfect place to sit and nosh and soak up the mellow neighborhood vibe. At SE Bybee Blvd. and 14th St. with free parking across the street at SE 14th and Glenwood. Oregon City Downtown Market, Wed., June 1, 3-7 pm. The mid-week version of the Saturday market, it is located in the same spot that a "producers market" operated in 1924. 8th and Main Streets in downtown Oregon City. 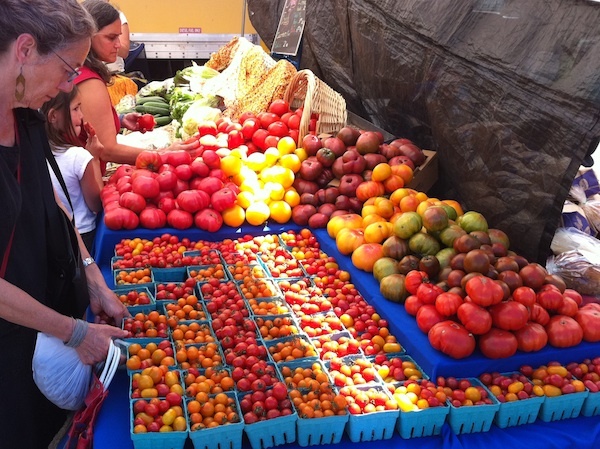 Montavilla Farmers' Market, Sun., June 5, 10 am-2 pm. Montavilla feels less like an urban market than one you'd find in a small town, with friendly neighbors laughing and local businesses joining in the fun with events and promotions. Between SE 76th and 78th Streets on Stark Street.